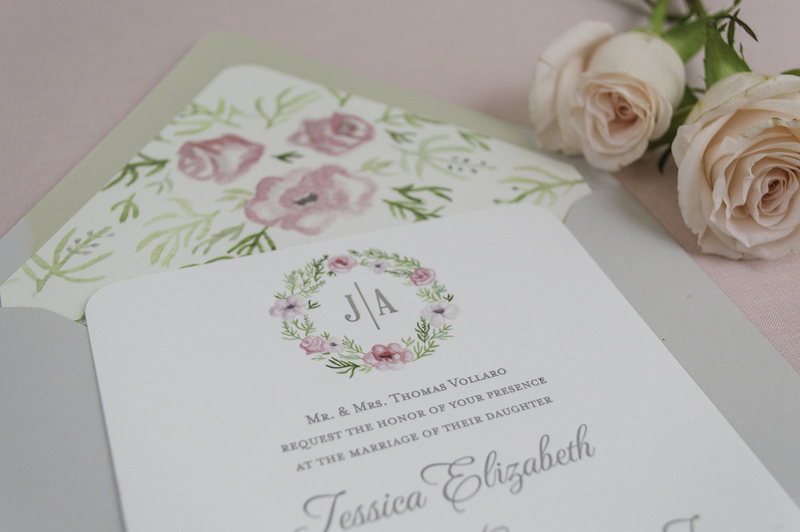 Watercolor motifs are some of our favorite designs to create, and floral crests are the very top of our list! 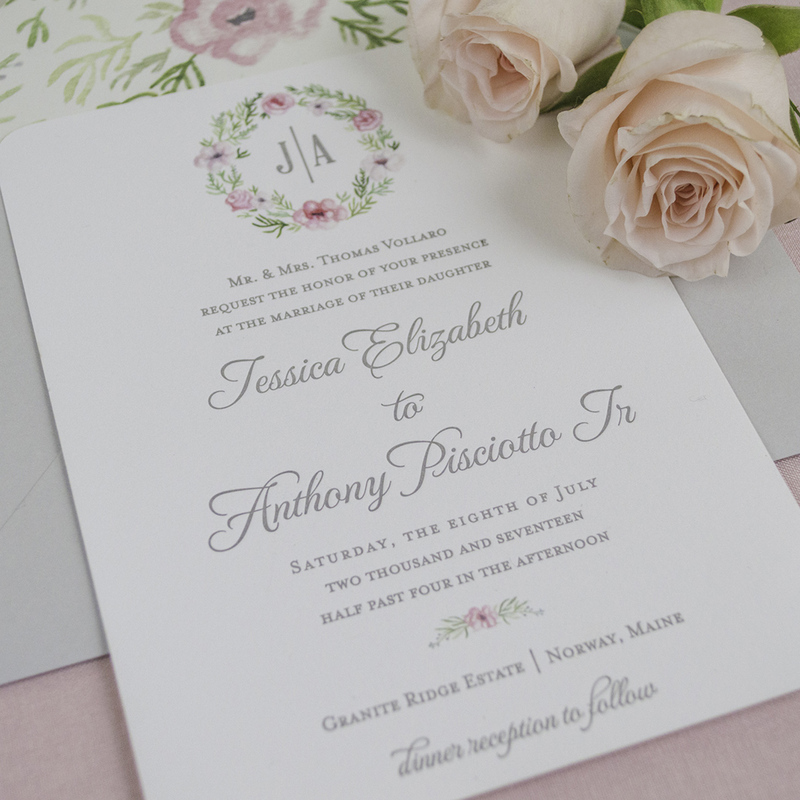 Needless to say, we are in love with these romantic, floral watercolor crest invitations we created for Jessica. 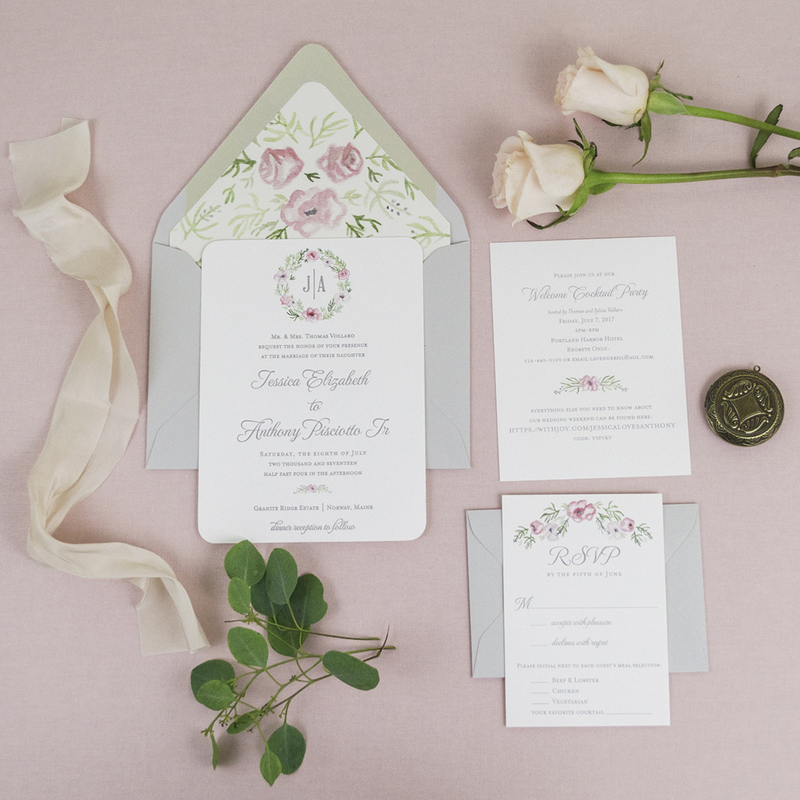 She wanted a timeless, romantic design with lots of organic, floral touches. To bring her vision to life, we created a custom floral wreath displaying a simple monogram in the center. 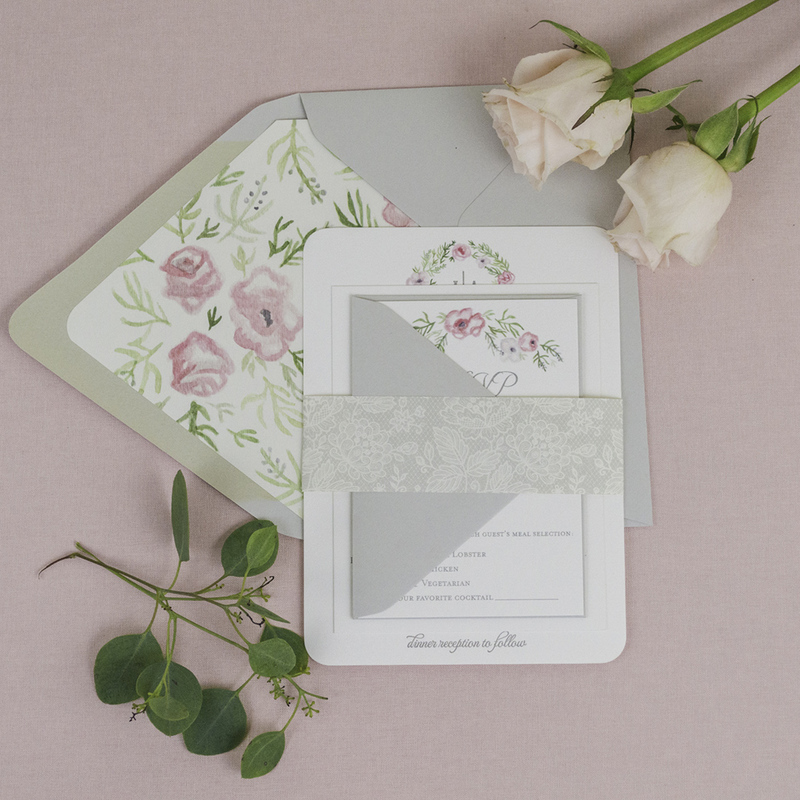 Her wedding palette was blush with gray tones, and we incorporated those colors throughout the invitation and envelopes. 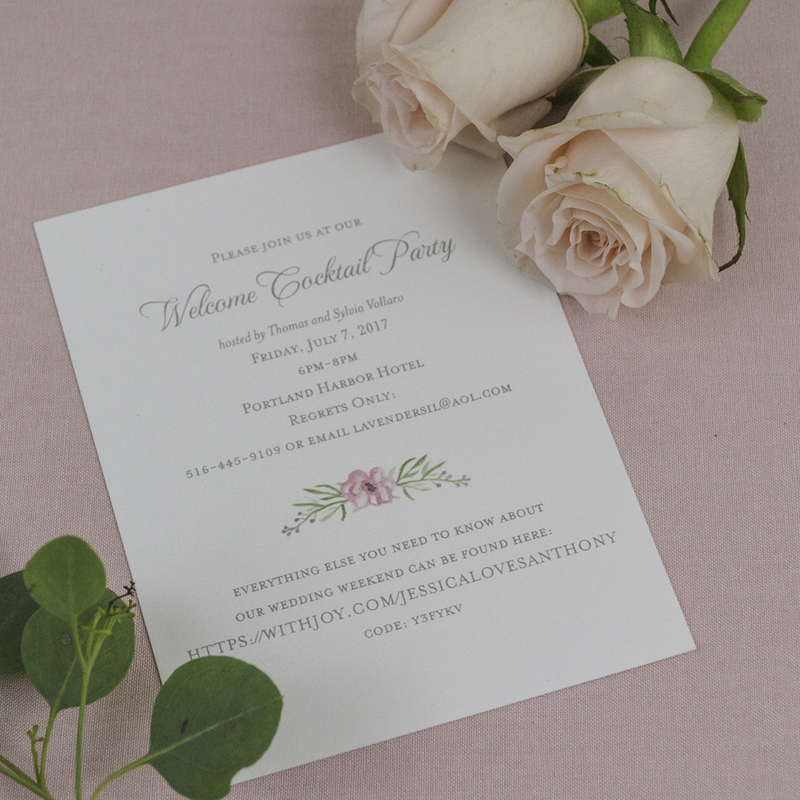 The font and letterpress printing added an elegant and timeless touch to the suite. 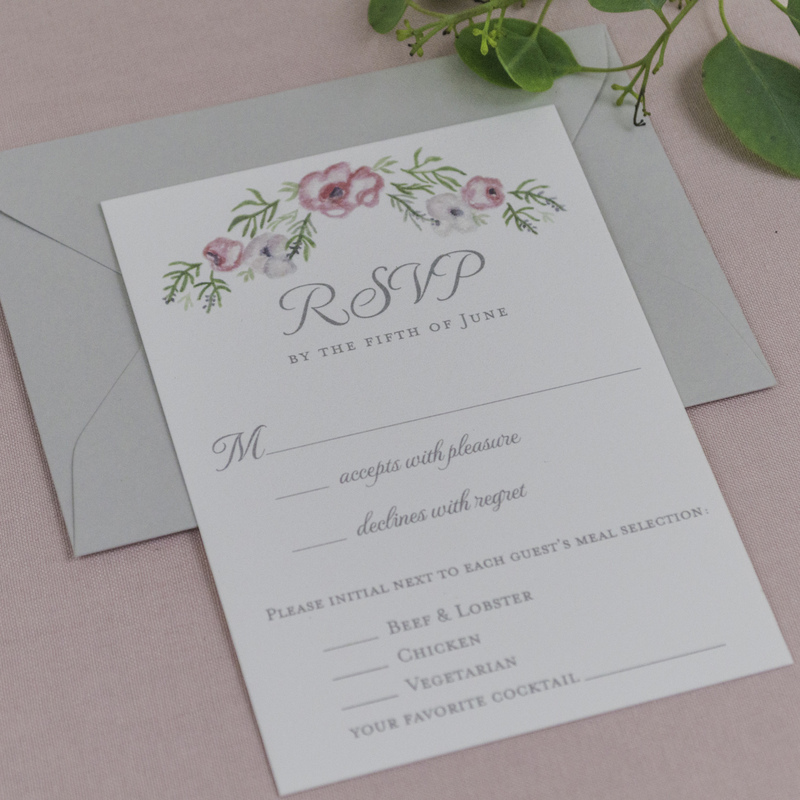 As a final detail, we embellished each envelope with a custom, floral watercolor liner and wrapped each invitation suite with a beautiful bellyband. 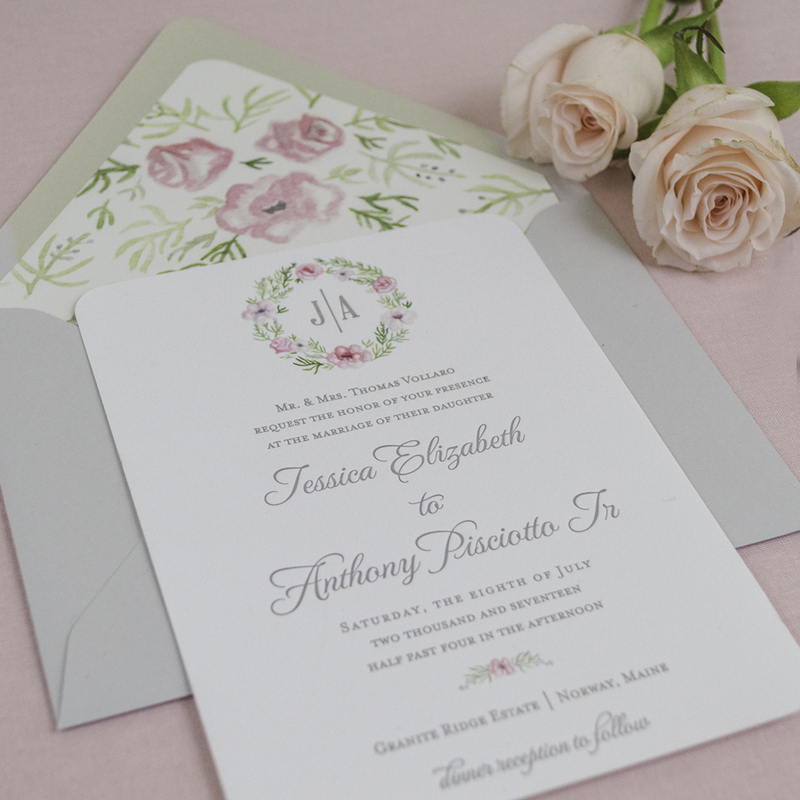 We absolutely love the final result!